But with all the noise out there now, how do you stand out from the crowd? 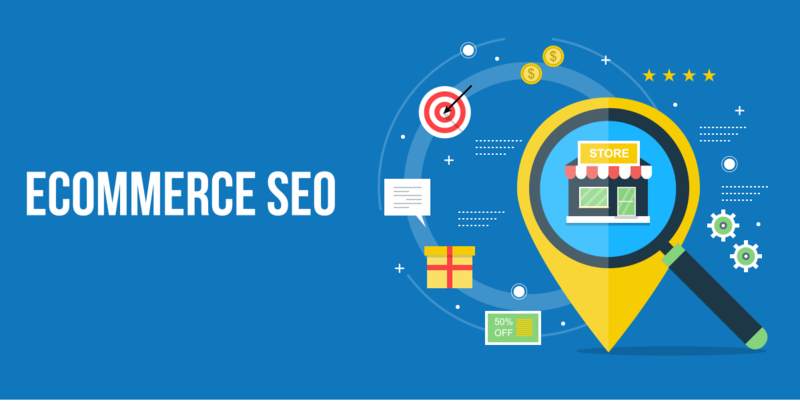 Ecommerce SEO (search engine optimization) is the methodology of optimizing your e-commerce store so that it ranks higher in Google and brings in more organic (‘free’) traffic to your website. I don’t need to tell you the ROI that you can get from having a ton of people coming to your ecommerce website every day. When you are ranked high in Google, you can get hundreds or thousands of free visitors to your website that you can turn into new customers. In this ultimate guide, I am going to show you how to optimize your ecommerce website so that it is SEO-friendly and brings in leads every day to your online business. One of the most looked-over elements of ecommerce SEO is on-page SEO. This means optimizing your website (and its pages) to rank better in search engines. Many ecommerce owners will simply throw up a store, add some images and short product descriptions and call it good. This is the wrong way to do it if you are wanting to get a lot of traffic from Google. When it comes to ecommerce SEO, doing proper keyword research for your products can be the best investment of time for your ecommerce business. There are a number of free and paid tools out there that you can use to do keyword research. 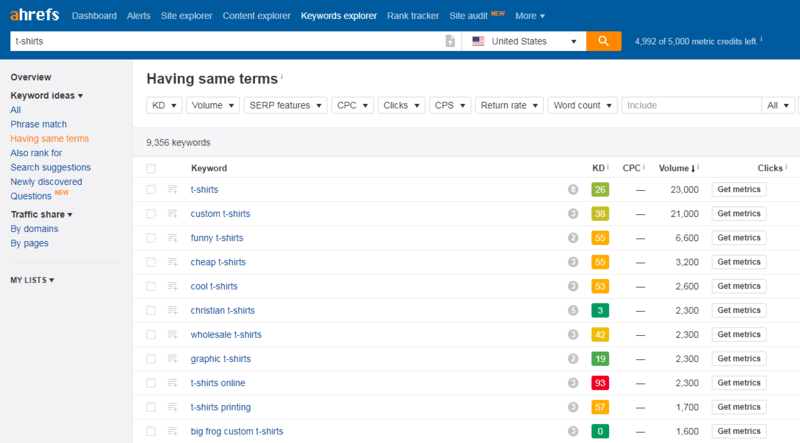 One of the best tools that we use at Tyton Media to do keyword research is Ahrefs. It allows you to view a ton of great data about what keywords people are searching, how many people are searching it and a bunch of other great tools to do good research. For the example of this guide, let’s say that you are selling t-shirts. Now you will see a number of keywords and variations that people search for, as well as the KD (keyword difficulty) Volume and CPC. The keyword difficulty is an important number to look at as this is the difficulty of ranking for this term, 0 being the easy and 100 being the hardest. The key is to find less competitive keywords that you have more of a chance of ranking for and saving these into an excel file for later. In our example, I would keep the keywords like Christian t-shirts, vintage t-shirts, etc as they all have a keyword difficulty below 10. Another way to find good keywords to rank for is to see what your competitors are ranking for. Simply go to the Site Explorer and enter in your competitor’s domain and then click ‘Organic Keywords’. This will show you a list of all the keywords your competitor is ranking for, how much volume they are getting each month from that keyword, and which page is being ranked for that keyword. Now we can find all of the relevant keywords that we could use for our site to either outrank or rank close to the competitor’s pages. Again, looking for keywords that have a lower keyword difficulty will ensure that you can rank high and in a decent amount of time. Then you can start going after more difficult keywords when you have built up your web presence. With our big list of keywords to use, we can now start building high-quality content to rank our product pages. The days of having a 250-word product description are over. The ideal product page should be similar to a well-written Amazon product listing. Your product page content should have every single thing about the product, how it works, how to use it, who it’s for, images, youtube videos, infographics and audio clips. It should also be over 1000 words but the longer the better. 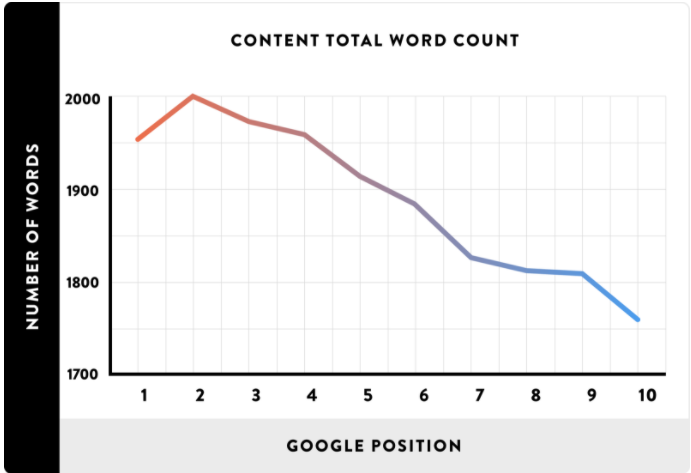 The more content you have on your product pages the more chances you can rank for long tail keywords not to mention educating your customer on your products. Having a great FAQ on your product pages can also help it rank better by providing good information to interested customers. If people are searching for questions about your product, they will see your product in the search engines because of the FAQ. Google also tends to use FAQs for featured snippets and questions in the SERPs (search engine results pages). Did you know that Google Images search is the 2nd most popular search engine on the web? It is also one of the best ways to bring in more ecommerce SEO traffic to your store. Ranking well in Google Images requires high quality and original images (so don’t steal other images and expect to rank) and really good alt tags. Alt tags tell Google and other search engines what the image is since web crawlers cant view images, only text and code. So make sure that you add multiple views of your products and make the images at least 1000×1000 or so. Add keyword rich alt tags that explain the photo and your product. You can also add an image sitemap for your ecommerce store that will help Google find and rank your product images. When people search in Google Images for certain products your images will now show up, allowing people to click to your product page and read more information about your product. 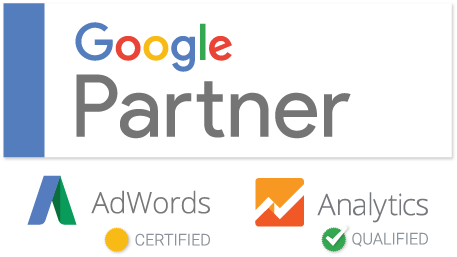 Adding structured data to your website, product pages and ecommerce store can help you rank better in Google. Without having to click on your listing, searchers can see your product rating, stock status and even price. This allows your listing to stand out more, increasing your CTR (click through rate) in turn increasing your position in Google. 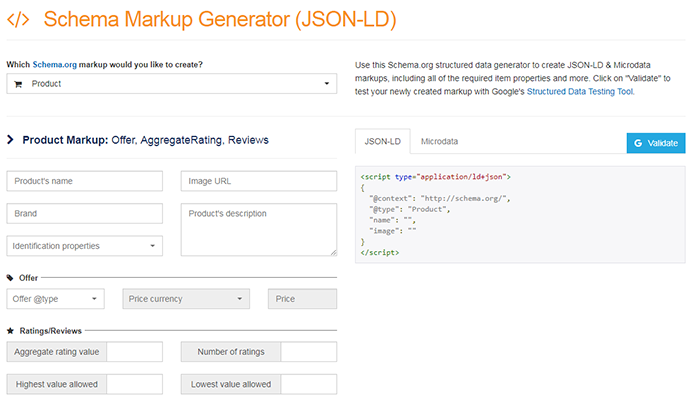 To add this structured data to your ecommerce store, you can use a number of free structured data generator tools to build your rich snippets. Simply choose ‘Product’ and then fill in all of your products information like rating and price. Copy the outputted code and insert it into your product page. If you are using a CMS like WordPress, then there are free plugins you can use to automatically generate these rich snippets for your products pages. When it comes to ecommerce SEO, having a really good internal linking structure is crucial for maximum rankings in Google. 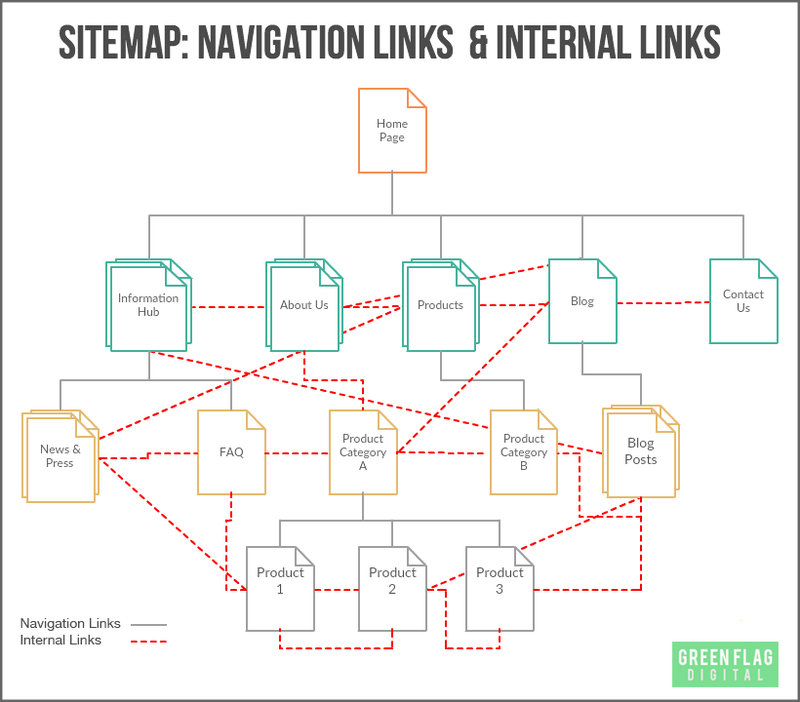 There are many different ways to set up the internal linking structure of your ecommerce store but many site owners just go with the basic navigational menu links. This will not give you an ideal internal linking structure that will provide both a good UI experience and an easy way to pass link juice to all your pages. Not only do you have normal navigational menu links but there are also contextual links throughout the site linking everything together and provide a good way for users to find relevant products and information on each page. Linking to your category and product pages from your blog can help rank these pages higher by passing link juice from backlinks your blog posts get to your internal pages. You can even create content-rch category pages that link to other categories, products and blog posts. The idea is to make a natural web of links throughout your ecommerce website. As you may already (hopefully) know, having a secure website is a necessity for processing online transactions in 2018. Not only is it important to have your cart and checkout be secure but it is also now a ranking factor in Google to have HTTPS. This means that your entire website should always be HTTPS no matter what. Whether it’s your homepage, blog, cart, checkout or even just the FAQ page, it should be SSL enabled and have a secure symbol in the browser URL. Getting an SSL certificate has never been easier.. or cheaper. You can even use Let’s Encrypt to get a completely free SSL certificate for your website. Of course, if you are a larger ecommerce site, you will probably want something even more secure. SSL certificates can range anywhere between $99/year to $2000/year depending on the level of security you need. Having a good heading tag structure on your ecommerce pages can help you rank higher in Google for specific keywords. This is because Google uses heading tags to determine what the page and each section is about. The main h1 describes what the entire page is about… In the case its the type of store. The h2 tags are all of the products of the store and the h3 tags are the different types of products available. 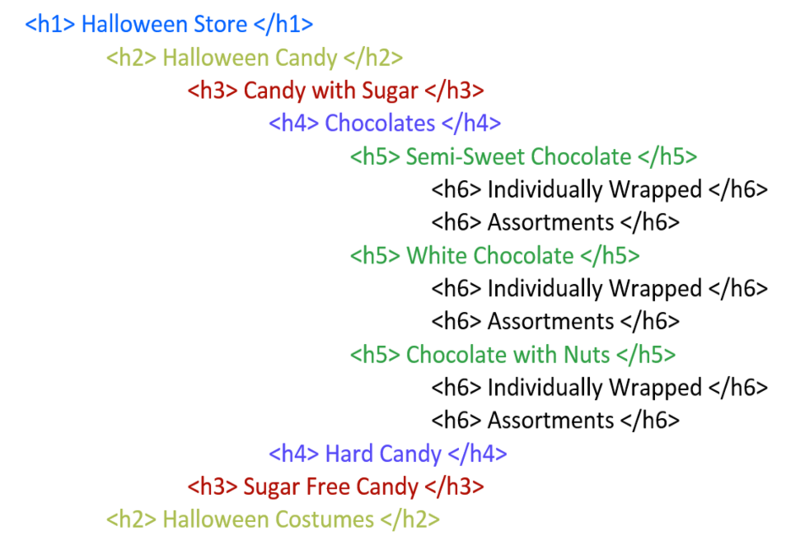 You can see the ideal breakdown of your products and how the heading tags should be laid out. Not every page will be like this example but it gives you an idea of how it should be laid out. It has never been easier to buy things online than right now in 2018. That means that there is a lot of competition in the ecommerce space with how easy it is to set up a store using platforms like Shopify. The days of starting a store and seeing traffic come in are pretty much over. Especially with Amazon powering most of the ecommerce online, its hard to stand out in the crowd. You now need to create compelling content to bring in target visitors and eventually convert them into customers. One of the best ways to bring in more organic traffic to your store is to build content. Whether its blog posts, memes, gifs, photos or even free courses, content is now the way to get more followers and turn them into customers. Writing on your blog every week can increase your ecommerce stores traffic with almost no investment besides time and hard work. Creating engaging and informational articles on your blog can both help educate your potential customers about your product as well as give you more traffic to your ecommerce store. Just make sure that your blog posts are 1000+ words and have good on-page SEO like we discussed before. Try to write articles that your target customer would want to read. It’s smart to do some keyword research before to see what your target customer could be searching for to find you. We use Ahrefs Content Explorer to find popular and viral article ideas that we can build around and find similar results. 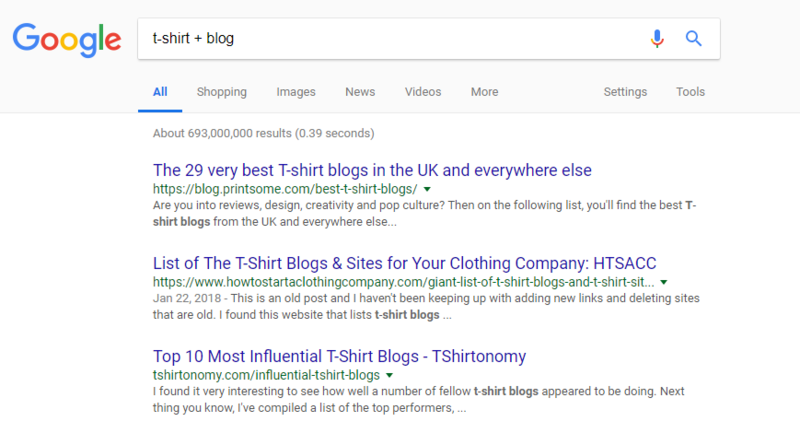 If you own a t-shirt store, you could write about how you make your t-shirts, the funniest t-shirts around the web or even 10 t-shirt fails… Anything around your business or product will bring in more visitors that will turn to customers. Like blogging, how-to guides can provide a great web presence and a ton of backlinks. Because how-to guides are so informative and simple, they often get ranked really well in Google. Your guide should be structured well and have a table of contents to reach certain parts of the guide for good internal linking and user experience. How-to guides are often very long-form content, having an excess of 5000 words or more. Although they are a big commitment of time, research and writing, how to guides can provide thousands of visitors coming to your store a month…even hundreds of thousands. When people Google about a product, they often as a question. This is what makes having a frequently asked questions sections on your product pages a great way to get more traffic and conversions. If you can answer a visitor’s questions beforehand its a lot more likely that they will buy your product. 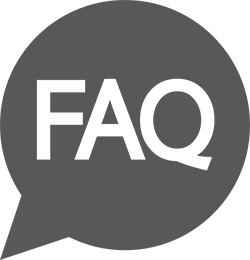 If you have a support center or live chat just write down common questions for your ecommerce products and add those to your product pages as frequently asked questions. You will find that a lot of people Google questions and your FAQ will show up. Building informative infographics and sharing them online can bring in huge amounts of backlinks, referral traffic and ranking increases to your ecommerce store. With a number of great resources for creating Infographics, it’s as easy as ever to make an awesome infographic that will go viral online. People love infographics because they provide a visual representation of data that is more visually appealing than text. This is what makes them great for building high-quality backlinks to your ecommerce store. Once you have your amazing infographic built, you can submit it to infographic directories, social media and forums to promote your store. What you do off your ecommerce store is just as important as the on-page optimization. Without any backlinks, your store will not get any visitors. In this section, I am going to show you how to build backlinks and get more organic traffic to your ecommerce store. Reaching out to popular bloggers or influencers and requesting a review or article on their blog can give you very strong backlinks to your product pages. When someone reviews your product, they often link back to the product in reference and this can help you rank higher in Google. You can also pay some bloggers to write about your products and include a high-quality backlink. Be sure to find bloggers that are in your target demographic so that it resonates with your target customer and product niche. Now, you can simply visit the blogs, contact the owner and ask them if they would like to review your product for a free sample. Most people love free stuff and love the chance to add more content to their website as well. This is a numbers game, so contact as many as you can and you may see that 10% are willing to give you a review or backlink, but just a few can increase your rankings immensely. Like Blogger outreach, you can reach out to blogs in your niche and ask them to write your own article on their blog or website. This way, you are in control of the content that appears around your backlink and you can educate your potential customers on your product… Not to mention add a juicy backlink to your site in your guest post. Read the guidelines of each website as they are usually all different. Some require 600 words minimum while others required 1500 words. You may find that some of them do not accept backlinks or are paid so watch out for that. If you are willing to pay, then it can cost anywhere in between $20-$2,000 depending on the website you are trying to submit a guest post on. I would look up the website in Ahrefs and see how much organic traffic it gets, how powerful the backlink will be and if it’s worth paying for. 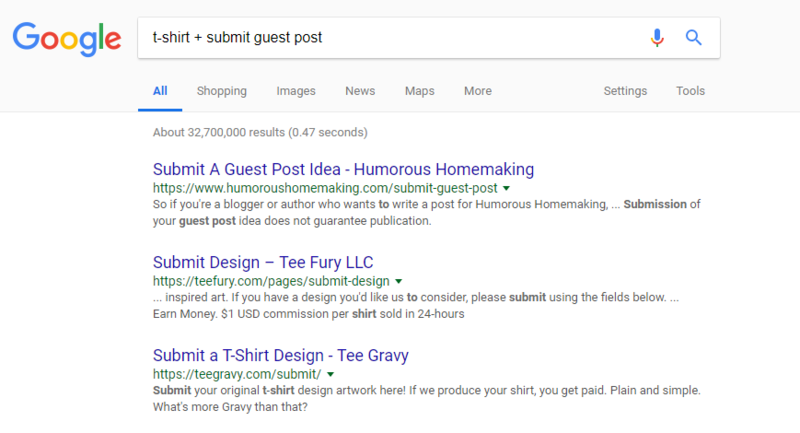 For example, the first listing we found for HumorousHomeMaking.com is a pretty powerful backlink and it has great organic traffic so if it was paid, we would most likely pay as it would be worth it in organic traffic value. Using Quora is another great way to get more referral traffic and high-quality backlinks from a high DA website. Quora is a question and answer platform with completely user-generated content. You can simply ask a question about anything and the community will answer. 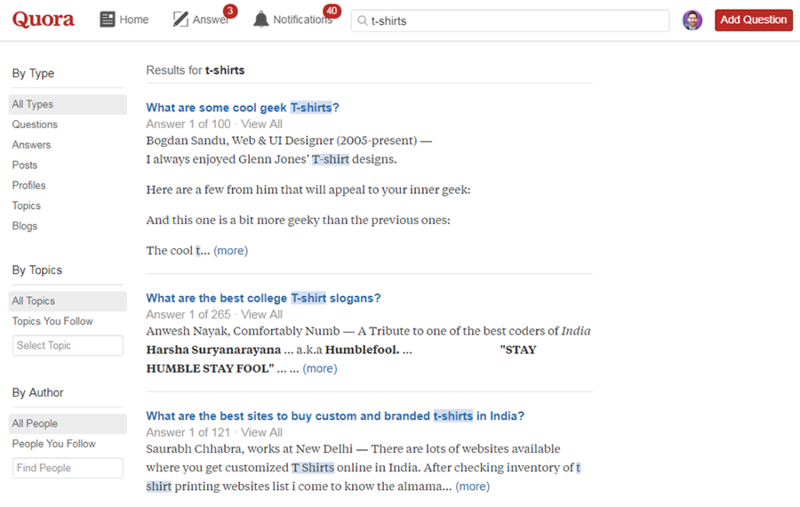 To get more traffic and backlinks from Quora, simply search for questions in your product niche and answer them. Don’t just use 5-word answers but provide a valuable answer to the question and then you can add a backlink to your ecommerce store or product page depending on the answer. 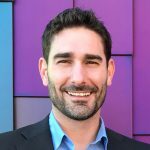 Don’t just spam every answer but look for questions you can bring value to and answer them to the best of your knowledge and provide a backlink to your product or website. Over 6 million people visit Quora every day so you can get a lot of exposure if you answer the right questions. There is also another kind of SEO that can help some ecommerce store owners to get more traffic to their website. Local SEO can enable your website to bring in tons of local customers around your business’s city and state. If your ecommerce store has a business address (it can even be your house or apartment) then you can optimize your site to get ranked in Google Maps, Places and local Google searches. Google’s algorithm now takes into account the location that you are searching from so you can get more local customers to see you buy ranking around your business. 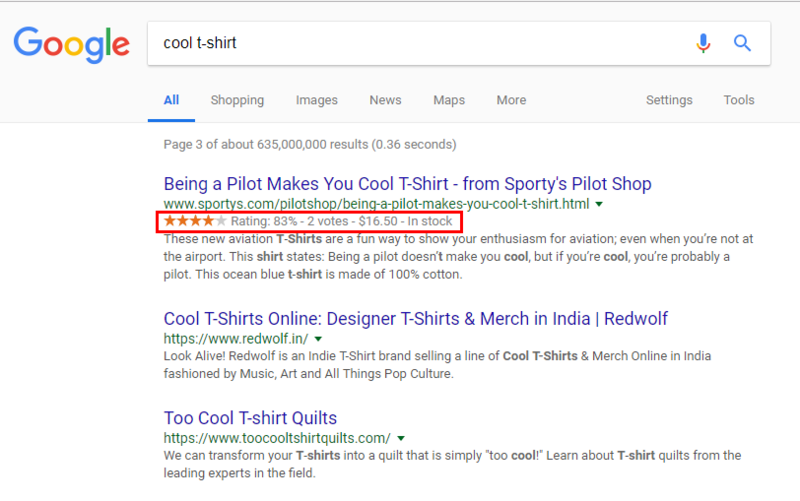 So if you are selling t-shirts.. and people search ‘t-shirts stores around me’, you will show up! So how do you show up here? 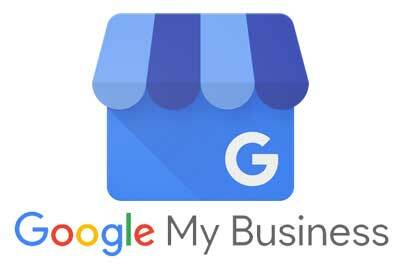 You will have to add your business to Google My Business. Simply head to Google My Business and add your Business using the simple form provided by Google. Once you add your business, Google will send the provided address a postcard with a secret code on it. Upon receiving this postcard (usually takes a week or so) you can enter the code in Google My Business to verify your business. It’s important to have all your business information written down somewhere as you want everything to be consistent everywhere. Your address, phone, business name and zip code should all be the same everywhere you add your business information. Now, you will need to optimize your website so that it shows up higher in your Local area for searches related to your business. 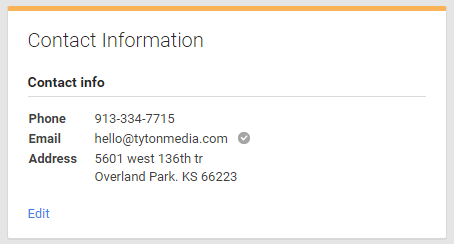 Add a local business structured data to all your pages and be sure that it matches your Google My Business details exactly. Now that your ecommerce store is optimized, its time to build backlinks and citations to your site to rank it even higher in Google. A citation is basically a directory listing for your business that lists your business name, address, phone number and website. There are often times even more data points like open/close time and price range. Some popular citation sites are Facebook, Yelp, YellowPages and Mapquest but there are plenty of large lists of places to submit your business. The more citations you can get the more backlinks you will have to your ecommerce website, in turn, ranking you better in your businesses local area. This guide can help you get more traffic, more customers and more sales if you use it right. Ecommerce SEO can help boost your brand to the next level and provide an endless supply of new customers visiting your store every day. If all of this is too much for you or you just want a professional team, Tyton Media provides SEO for ecommerce stores and we love helping ecommerce brands grow with the power of SEO! I hope this guide helped you and don’t hesitate to ask any questions below or contact us if you would like to work with Tyton Media. This entry was posted in E-commerce, Internet Business, Search Engine Optimization, Woocommerce. Bookmark the permalink.